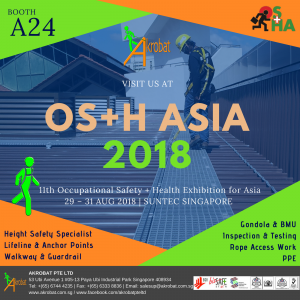 Drop by our booth for your Height Safety requirements and learn from our height safety specialists in Singapore today. Our specialists are very much excited to meet you. We offer a wide range of PPE and Engineering Services. Visit our booth to learn more about height safety and how our experts can help you. We look forward to seeing you there.